My wife started to do some craft work with beads and wire 5 years ago. I tried making a flower with seed beads and wire and the rest is history. 5 years later I have over $500.00 in beads and organizer plastic containers to hold them. 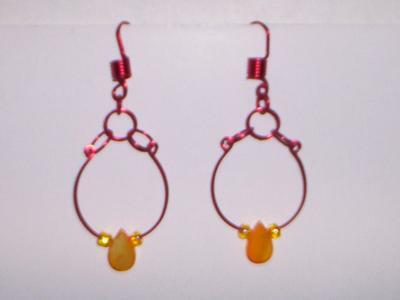 I have about $200 dollars of tools of every type to shape tarnish free color wire into shapes with beads worked into it. 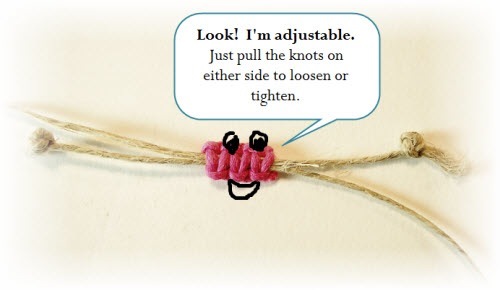 I learned a lot in self teaching jewelry books. I am a very patient person when it comes to jewelry making. I do make the same items over and over again, from trial and error I learned what is in and what is out. 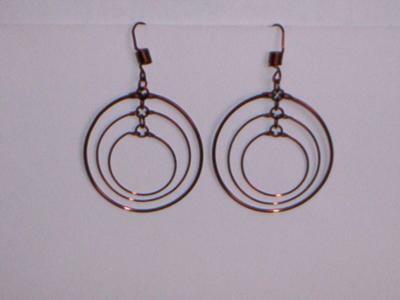 I use scrap wire to play around with and in my new creations in earring makings. 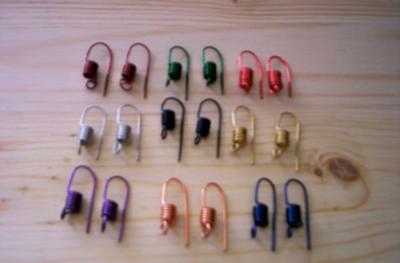 I make all my own spring hooks that hold the earrings in the ears and I make all my own jumprings in many colors and sizes. It gives me great joy that ladies like the taste of my art giving talent in jewelery that I create. I want to make a chain mail T-shirt for my self but that requires a lot of time and doing with jumprings. 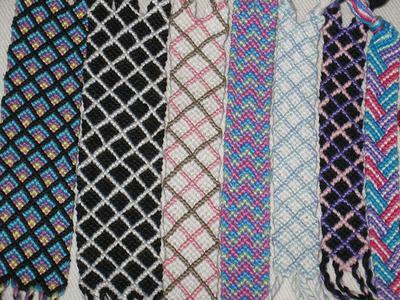 A exchange student taught me how to take 5 color strings and weave them in to a square shape necklaces. It takes me a half an hour to weave it all the way through. It is a very rewarding necklace when done. by the way, this is a great site whoever created it! Ok I will get a picture of my hand woven square neckles on this soon. Thanks fans JeffM. 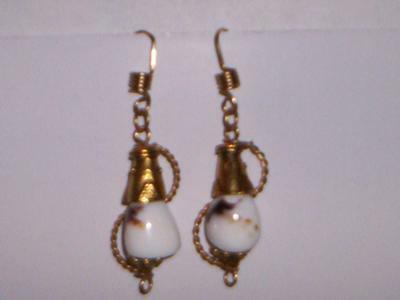 I love the earrings! 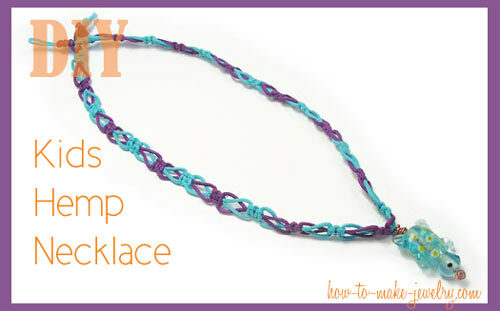 I would also like to see the woven necklace and perhaps a pattern? You go! How bout a picture of the woven necklace?